Well four pars and 10 bogeys today, don't remember the other four holes. Monkey meetup on 7/18? Please contact JSM for details. BBQ/pool party? Only 10 days away. Need answers!!! I'll cook gourmet burgers (with bacon and chedder cheese). Someone to prepare baked beans and tater salad? GE, Babs, Chi, Sister, TBM - where are you? I am here - did the birthday party for the boy today. We are still planning a visit on about th 18th. I am up for burgers and swimming! I will see what you need when I get there and hit the store! I think a lot of us can relate to this! I will be finding out tomorrow how long my friend is going to be in the hospital in San Antonio. If she is gone by then, may still come and use my frequent flyer miles. JSM and CC, Klaas and Muffy have my e-mail address. CC- it sounds like your job is coming along. How are you making about with the Catholic church and remarrying JSM? 4Donks - Is Mac doing ok on his new medicine and is Jazz coming to terms with his grief over Beela? Cady, how is your Mom making out with the move to the AL unit? Brandi, did they determine your son had a kidney stone? How's your tomatao plants? Is Brandi doing ok in this heat? BabsKats - should would be nice to meet you and GE and Chi and of course JSM and CC. Hope it works out for me. Can, how is the hubs vertigo? How's your dad? How's your brother and his treatments. What happened to the last bunny? JSM - how is your arm this summer? TBM - is the son studying to be a pastor the one on the dean's list? Trimm - is Digger still destroying your plants? Cookie, is the extra Vitamin D helping? Northern Rose, where are you? ok, that's the end of my questions. Just checking my prayer lists and if I forgot anyone, I apologize. Headed for bed. Very hot here and will be another scorcher tomorrow. Oh Sister that would be so cool if you could make it. Babs and I were talking about how we might be able to drive down to San Antonio and get you. That you could stay with CC and JSM they live close to the airport. I sure hope it works out that you can come. Stay cool in the heat wave you guys are having. Mom and Dad are the same. The lift is just to heavy for me to lift and they will not let me leave it there, even though it fits. Miss Bearly where have you been? How you and Cubby doing? 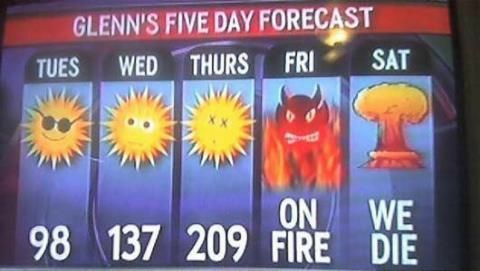 Hope you guys are staying cool with all the heat happening your way. I'm here and I'm hot!!! I hear you. I was just reading they think you guys might be getting a break in the heat in the next day or two. I sure hope so for everyone. Jazz has a new job that is distracting him from the loss of Beela. He is teaching Bailey all the ropes. Bailey is laid back and just a sweet dog but a drooler. He is slowly gaining weight and losing his separation anxiety...all is good. The donks love the misting system although Hobbs tries to get it but it is out of reach or it would be off in the pasture with him. Hope everyone enjoys Texas and keeps us up to date on all adventures. to return to her apartment. and CC said, "What a good boy am I." CC, is she ok? Please keep us posted! JSM is in no pain right now. We'll be home in a bit and she'll tell all. OMG poor thing! Did you push her? Caddy you are right about the baby deer needing the mommy. COME ON DOWN!!! You are more than welcome, Chubs and Cad too!!! Page created in 3.676 seconds with 19 queries.